Uber and its many copycats have taken the world by storm and, Kenya is no exception. The number of taxi-hailing apps seems to be growing by the day. At the time of going to print there were five taxi apps in Kenya with more in the works. The apps are mainly available on Android since Android is the dominant mobile operating system in Kenya with over 90% of smartphones in Kenya running on Android. The links below take you to The Google Play Store. Uber Taxi - operated by Uber, the global pioneer in this industry. They also offer the first ride free. 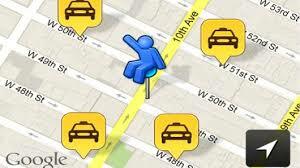 Easy Taxi - Another leading taxi solution found in over 420 cities worldwide. However, they exited the Kenyan market in May 2016. Taxify - an Estonian initiative that partnered with the Kenya Taxi Cab Association in response to Uber entering the market. Little Cab - owned by Kenya's largest mobile phone operator, Safaricom and developed by Craft Silicon, a successful Kenyan tech firm. They also offer the first ride free. Simply use the code L1616465 to sign up. Pewin Cabs - operated by one of Kenya's largest taxi firms, Pewin. Maramoja - operated by Maramoja Transport Limited.